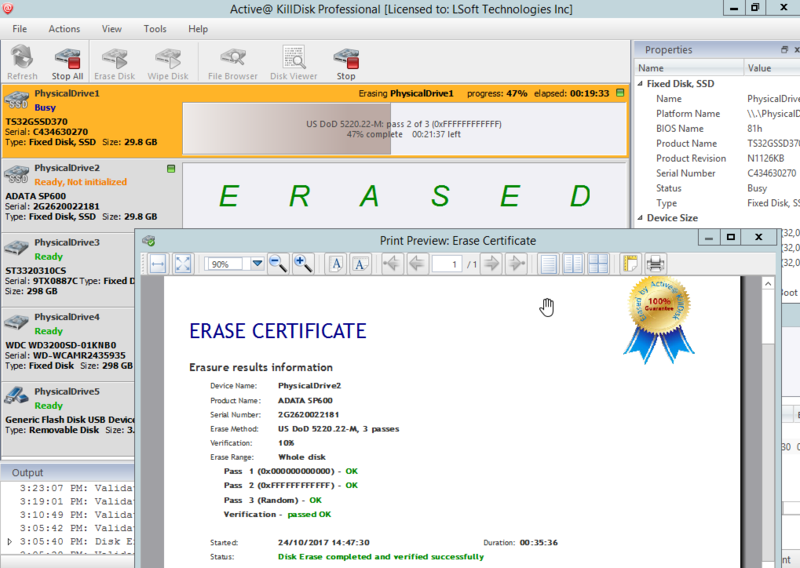 Active@ KillDisk allows you to completely destroy all data on hard disks and removable disks. This prevents any possibility of future recovery of deleted files and folders. It's a hard drive and partition eraser utility. By using Active@ Password Changer of Active@ LiveCD, you can reset local Administrator or User passwords for the Windows Operating System family in case an Administrator's password is forgotten or lost.